The Sothink SWF Decompiler is a Flash to HTML5 converter which is an heavily awarded desktop application and works on both Windows as Mac computer. 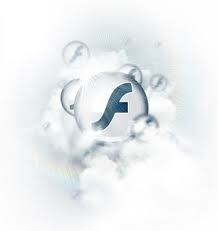 Easily extract Flash resources like shapes, images, sound (mp3, wav), videos (flv), text, sprites and ActionScript. Edits SWF by replacing image/shape/text/sound; Supports Flash CS3/CS4/CS5 and ActionScript 2.0/3.0; Able to get XFL file from Flash CS5 SWF; Globally searches all ActionScript; Exports SWF resources in batch; One-click to free capture & download online Flash; Multilingual and user-friendly. Show AS Class structure like folder-tree according to its path in package when decompiling AS3.0. Support displaying multi-byte code in AS window. Filed under - Flash Design Blog, Flash Tutorials, SEO Flash, Flash webdesign, Flash NEWS, Flash Developments No Comments so far.